Ready-position, racket angle, footwork, top-spin, under-spin, follow through... Oh, how will I remember it all? 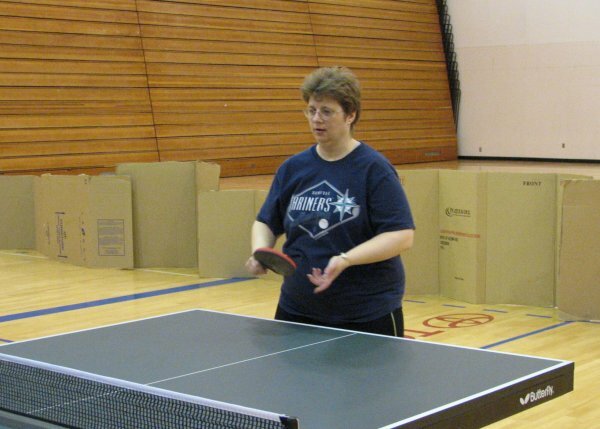 The beginning steps of table tennis were practiced Saturday March 24th at the Patty Gym. 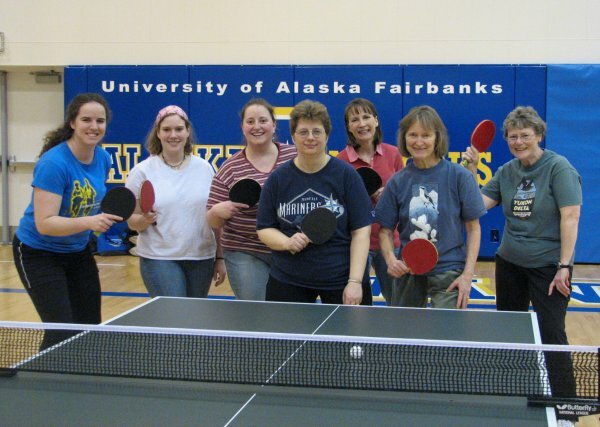 Shelly Baumann, Jamie White, Janet Smith, and Laura attended the Fairbanks Interior Table Tennis Women's Clinic to improve their games. Club members Carol Johnson, Linda McNamara, Shannon O'Neil, and Diann Darnall gave coaching and instructor during the clinic. Basic skills, as well as the rules and game strategy, were practiced. Everyone improved as the day progressed. 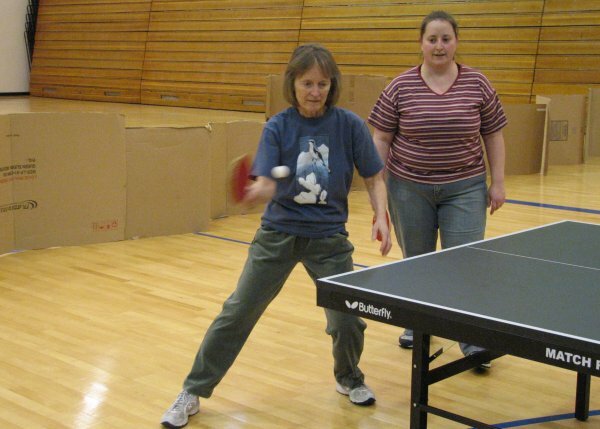 Table tennis, the second most popular game in the world, is a great exercise sport for the body as well as the brain. 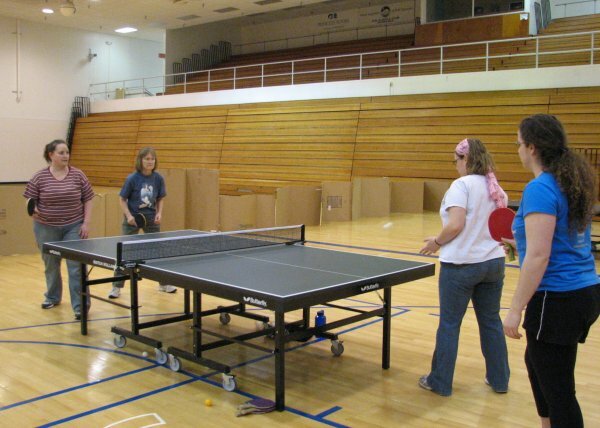 Because table tennis is aerobic, uses both the upper and lower body, is super for hand-eye coordination, and uses the brain in a unique way, Dr. Daniel Amen has rated Table Tennis as the number one sport for a healthy brain! 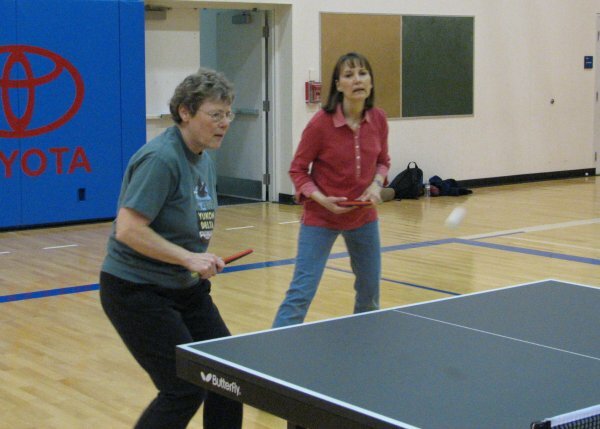 Be healthy, be smart, be FITT, play Table Tennis! 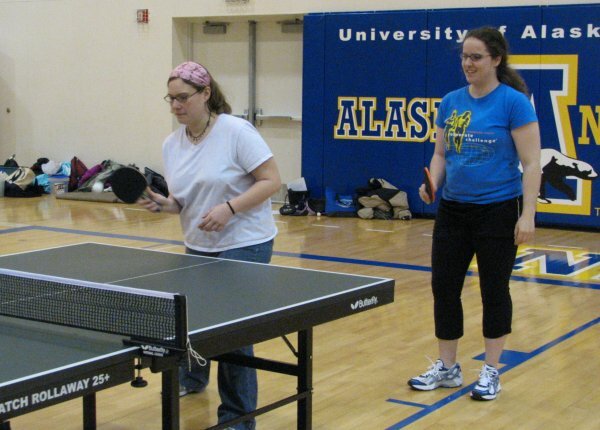 The Fairbanks Interior Table Tennis club plays at the Patty Gym and is open to all men and women interested in playing table tennis. This week the club will be playing Monday, Tuesday, and Thursday from 7-9 pm and Sunday from 3-6 pm. More information can be obtained from the club website at http://freecal.brownbearsw.com/FITT. Group Photo L to R: Shannon O'Neil, Jamie White, Shelly Baumann, Janet Smith, Laura, Carol Johnson and Linda McNamara.